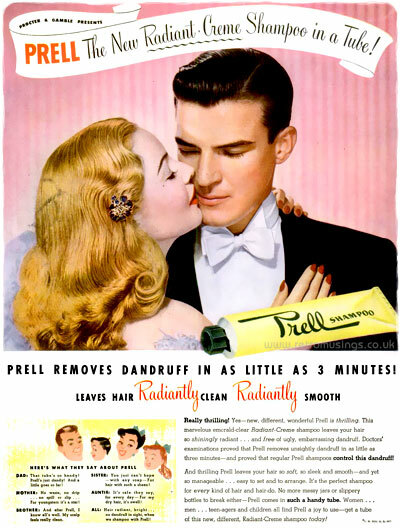 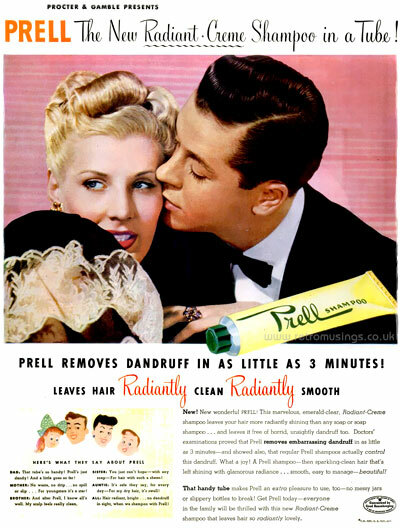 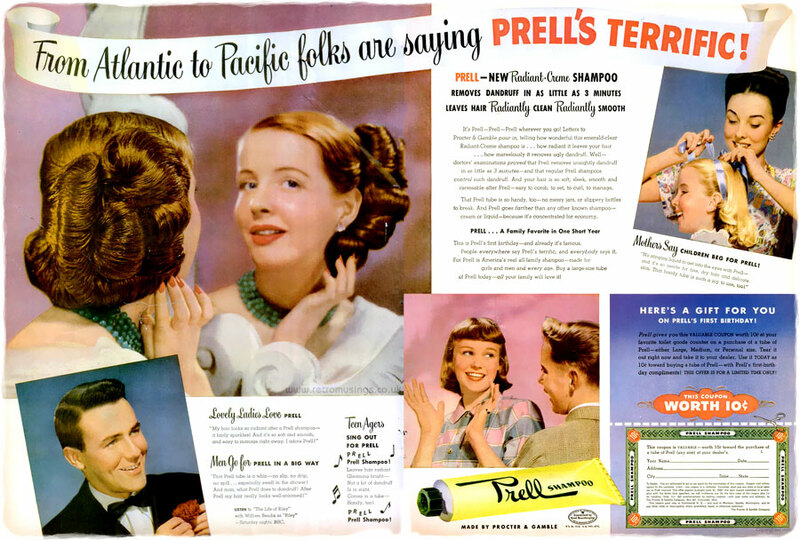 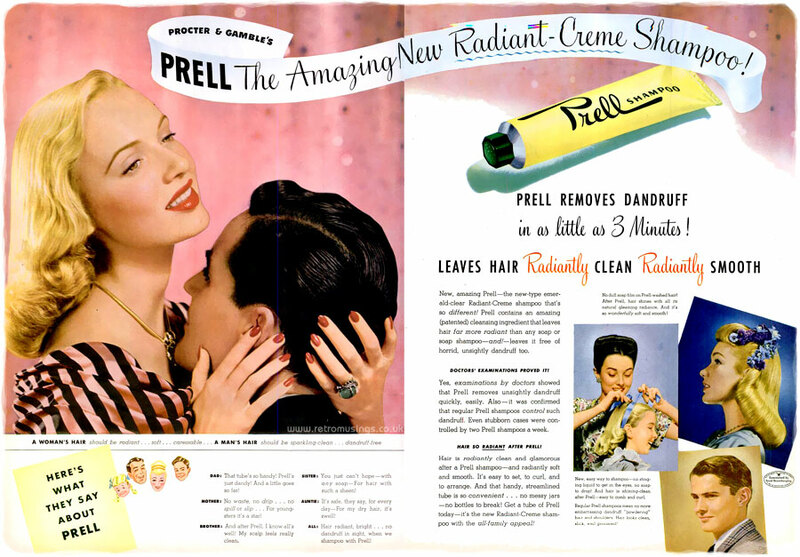 These ads for Prell dandruff shampoo (owned by Proctor & Gamble) date from 1947-49. 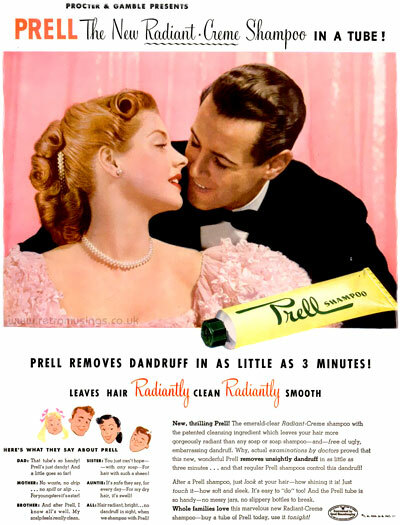 Ads from 1947 had a pink background and a lustrous-haired loving couple dressed for a night out. 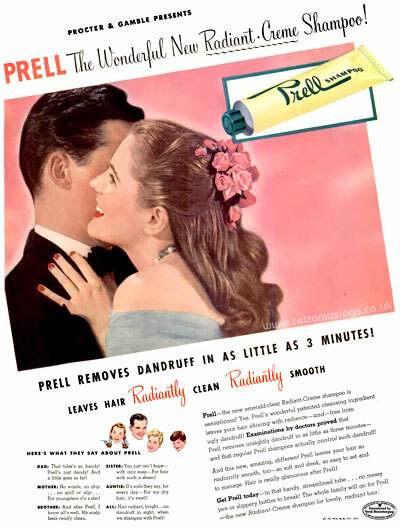 The design changed in late 1947 into 1948, with less formally dressed couples. 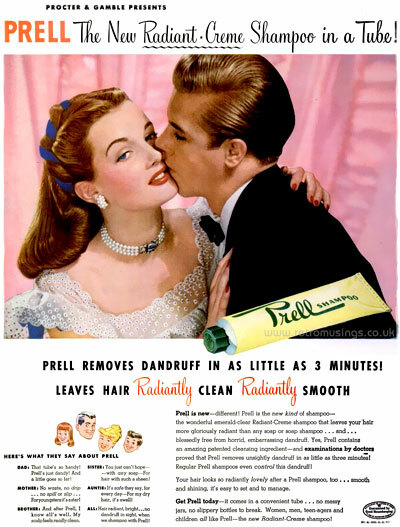 By 1949 the couples were dressed for an evening out again.